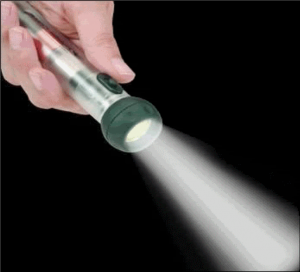 Savouring the positive – where are you shining your flashlight? Our lives are filled with many, many different experiences. At any given time, there can be many wonderful things going on in your life, at the same time as you are dealing with some “not-so-wonderful” things. What do you focus on? Imagine that you live in darkness, always holding a flashlight in your hand. Where do you shine that flashlight? How much of your time do you spend focusing on the negative, shining your flashlight into a dark corner where some unpleasant experiences or negative feelings reside, and how much of your time are you using your flashlight to search for and focus on the happier, more pleasurable things that are also happening for you right now. Life can (and will) hit you with all kinds of challenges and disappointments. 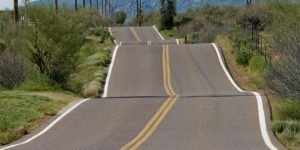 Nobody gets a perfectly smooth ride on their journey through life. But you do have some choice in how those setbacks will affect you. You can take control of your flashlight, and redirect its beam to the delightful things that are also around you, despite those challenges, and focus on the richness that your life also offers. Choose to savour the small pleasures that life offers – making a deliberate effort to notice and appreciate the positive aspects of life. Psychologists Fred Bryant and Joseph Veroff have explored the concept of savouring, noting that we can experience positive feelings or experiences in our lives, and be too busy or too wrapped up in our negative emotions to pay much attention to them. Happiness isn’t just about having the positive experiences, it’s also about noticing them, enjoying them, trying to prolong them, shining your flashlight on them. 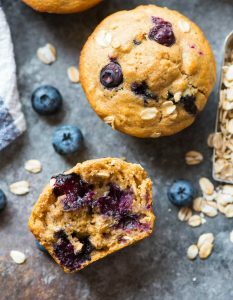 For example, rather than eating your morning muffin mindlessly, linger over it, appreciate the aroma, the sweetness or crunch, the blueberries as they burst in your mouth. 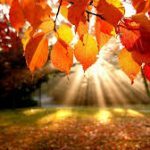 Rather than just walking to get from A to B, notice the warmth of the sunshine on your face, feel the crispness of the air, observe the beauty in the colours of the changing leaves as you walk on an autumn day. Instead of feeling like you really didn’t do anything tonight, even a quiet evening with friends or a partner can be savoured, for the comfort, calm, and feeling of care that it provides. If you make the effort, there is lots of positive in every life to focus on. You can savour a memory of a past experience, savour an experience as it is happening or look forward to an anticipated enjoyable future experience. Remember that good moments pass quickly, so make an effort to consciously appreciate them, and be careful about where you shine your flashlight.